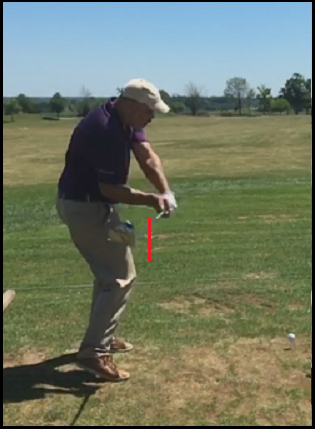 If you’ve heard the “Square To Square To Square” bit of jargon in the recent blogs I’ve conducted with Fluffy and you are a little fuzzy on the concept, it’s about having the neutral grip so that you won’t have to manipulate the club face through impact. I took a swing from the summer where I got that down pretty well, but then again, if I were to practice every day as a competitive amateur or pro, I’d be looking for this every time. This entry was posted in Club Face, E = MCS, Impact, MCS Golf Swing and tagged Club Face, DJ Watts, E = MCS, Impact, MCS Golf Swing, WAX Golf on November 6, 2018 by D Watts. By now, everyone on the waiting list for the “MCS – Kinetic Chain” has received their email on the technical disaster that befell me to close out last week – thanks to everyone who responded with your supportive emails, as they were the bright spot this weekend. This entry was posted in Club Face, Justin Thomas, MCS Golf Swing, MCS Kinetic Chain, PGA Tour, Pivot, Project 2018 and tagged Club Face, DJ Watts, Justin Thomas, MCS - The Kinetic Chain, MCS Golf Swing, PGA Tour, Pivot, WAX Golf on August 20, 2018 by D Watts.